Rising 41 stories above the Seattle CBD, 901 Fifth blends classic high-rise architecture with a contemporary sensibility. 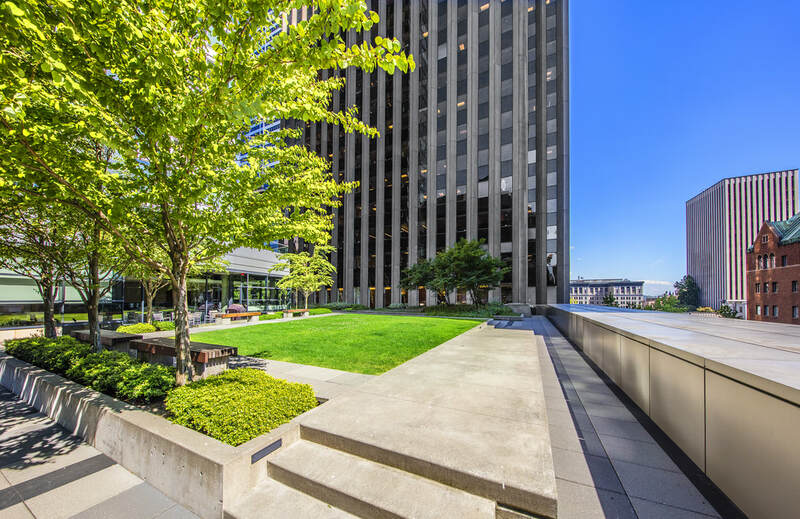 This Class A+ office building offers intimate floor plates with high ceilings and expansive city, mountain, and Puget Sound views. Tenants benefit from a host of onsite amenities including a high-tech conference center, new state-of-the-art fitness center, secure bike storage, coffee shop/deli, renovated lobby, valet parking, and a beautifully landscaped outdoor terrace.